Start your Curling journey here by reading the fundamentals of curling. Curling is a universal ice sport enjoyed by millions worldwide. The team sport is played competitively and recreationally by men and women of all ages. 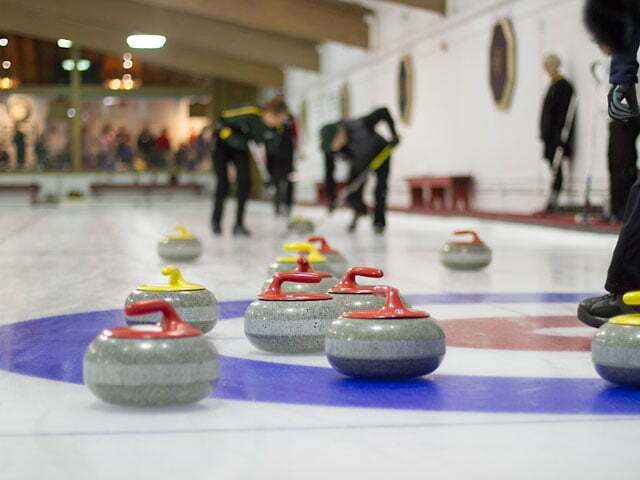 Local clubs allow curlers the chance to participate in a physical sport while also socializing with a diverse group of people. The tradition of curling dates back to 16th century Scotland where Scots played outdoors on frozen lochs and marshes. Scottish immigrants brought the game with them to North America in the late 1700s. Curling was first introduced to the 1924 Winter Olympics in France. After a long absence, curling was brought back to the Winter Olympics in 1988. A standard game of curling consists of two teams and sixteen curling stones. Each team has four players – a lead, a second, a third, and a skip. Each player delivers two stones per end, alternating with the other team. The stones made of polished granite are aimed at the house, which is a circular target marked at the end of each sheet. Only one team scores per end and one point is scored for each stone closets to the center of the house, otherwise referred to as the button. Similar to baseball inning, an end of curling is finished when each team has thrown all their stones. A recreational game is between 4-8 ends, while championship games are typically ten ends. There are three key elements of a stone delivery – the line, the weight, and the curl. 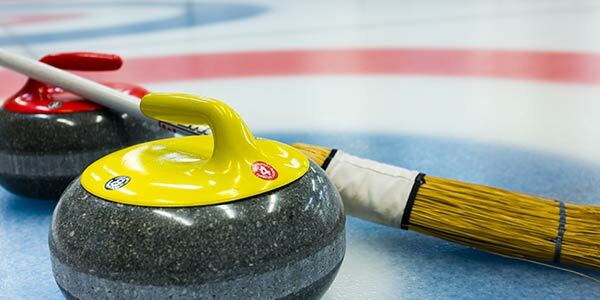 When a curler throws, the skip stands at the end of the ice and holds the broom to provide them with a target line. The weigh of the shot is dictated by the type of curling shot. For instance, a guard has less weight than a draw or takeout. The last key element of a delivery is the reason the sport gets its name. 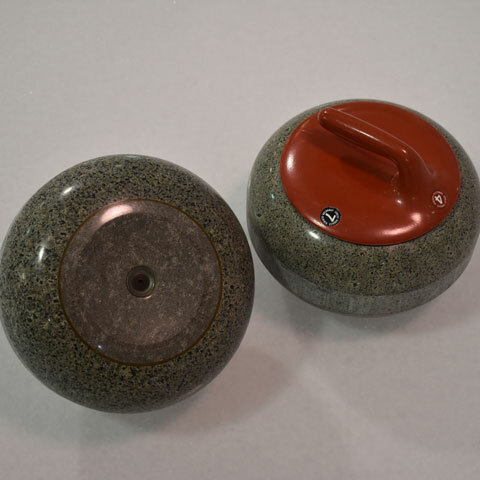 As the stone is released, the turn of the handle either clockwise or counter-clockwise determines the curl of the stone as it travels down the ice. 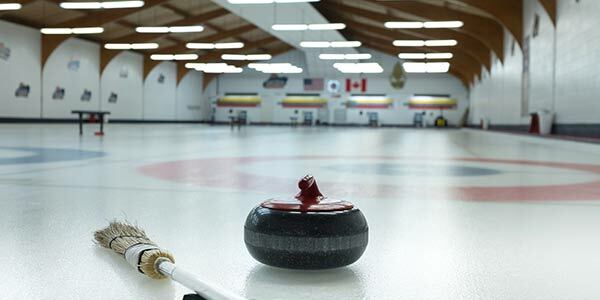 The rectangular ice that serves as the playing surface is known as a curling sheet. Unlike hockey ice, the ice is flat and sprayed with warm water droplets. When the drops freeze, they create pebble. Pebbling produced small bumps on the ice that allow the running edge of the stone to slide down the ice. Sweepers use brooms to reduce the friction between the ice and stone surface which allows the stone to travel farther and straighter. At the end of each sheet are concentric circles that form the house. Sheets are set up for play in both directions. The “hack” or foothold is fixed behind each house and is the location from which a player delivers their stone. Determining the score is relatively simple. Only one team scores per end. A single point is scored for every stone closer to the middle of the house than the opponents stones. For a stone to be eligible for scoring, it must be touching the house. The team that scores delivers the first stone in the following end and gives their opponent the advantage of last stone, known as the hammer. 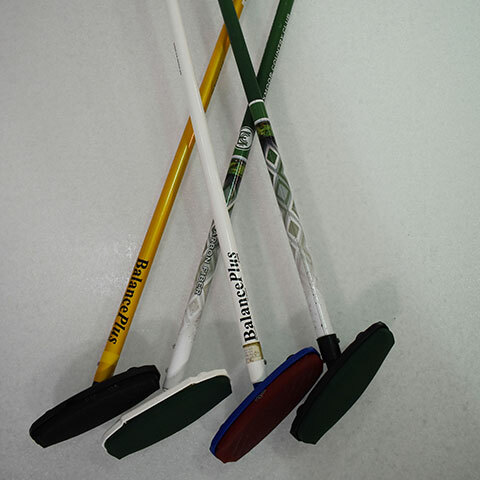 Used for sweeping and delivery, curling brooms are made of light-weight material. The head of the broom is composed of a synthetic fabric. While indoors, a curling sheet stays around 40 °F so while curling has no uniform, most wear layered, loose-fitting clothing to allow flexibility. 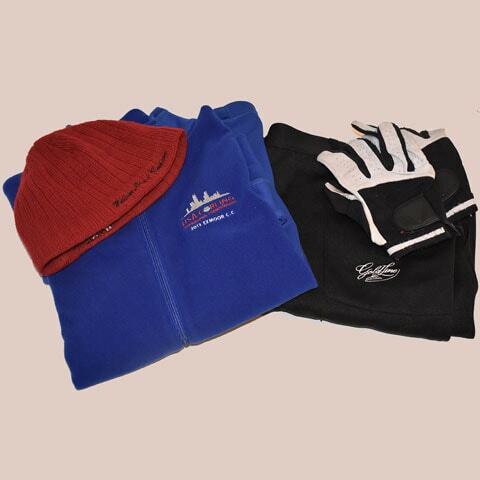 Some curlers wear gloves and jackets to stay warm. 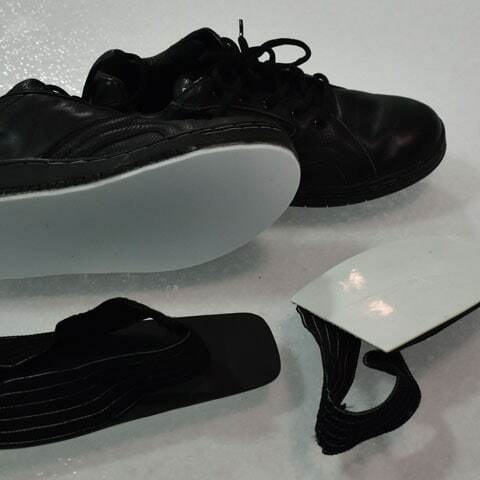 Any flat-soled, clean shoes with a grip can be worn for curling, A slider placed on the sliding foot (i.e. the non-dominant foot) can be strapped on separately or built into a curling shoe. Stones weigh on average about 42 pounds and are composed of dense granite quarried in Scotland. The stone glides on the running edge of a concave area located on the underside of the stone. New curlers often learn to deliver on a stabilizing device called a stabilizer. For players who have difficulty getting into the sliding position, the delivery stick was introduced.